January: Unrehearsed Shakespeare opened its third full season with Twelfth Night on Twelfth Night ’15. 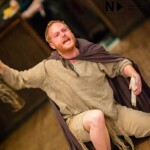 January – February: Back by popular demand, Unrehearsed Shakespeare held its second workshop in half a year. March – April: At long last I returned to The Right Brain Project, for a dream role in a dream play. 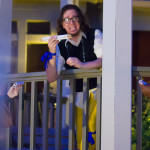 The RBP opened its tenth season with Tony Kushner’s The Illusion, in which I played the lunatic braggadocio, Matamore. Ever since I saw the Court’s production back in 2010, I have longed to be a part of this show, so that’s one bucket-lister down. 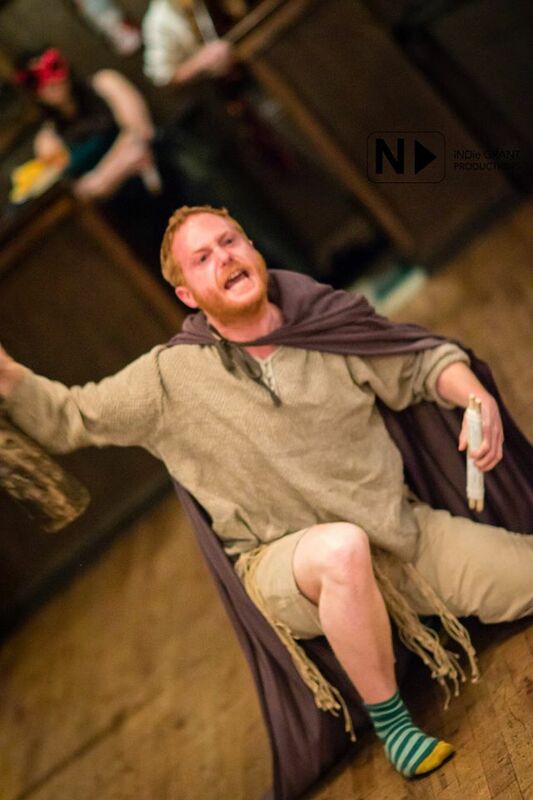 April: Unrehearsed Shakespeare finally returned to Black Rock Pub (home of Twelfth Night 2013) to stage a remarkably successful Titus Andronicus. The audience’s freedom to voice their opinions on the characters’ actions allowed for a strong personal investment and interpersonal connection. It was nifty. 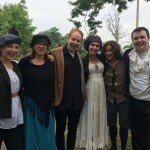 April: Zack Meyer and I traveled taught an Unrehearsed Shakespeare workshop in Midland, Michigan for the Regional Festival Conference for the American Association of Community Theatres (AACTFest). It was a small class, but the director of the festival was kind enough to join us and seemed very happy with the experience. So, win-win. RICHARD III UNREHEARSED. 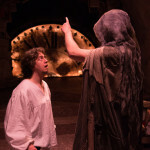 July: Zack Meyer starred as the hunchback king in his (possibly) final performance with Unrehearsed Shakespeare. Tricky Dicky lies, cajoles, and charms his way into England’s highest office, and often wins the audience over along the way. We had some of our most enthusiastic audiences to date, giving Zack and his horse a great send-off into the wild beyond of grad school. Good luck Zack! July – August: My first Elizabethan comedy, which premiered in Milwaukee back in 2013, was finally brought to Chicago. THE SHAKESPEARE ALL-STARS GO ON TOUR! KINDA! August: Independence Park Farmer’s Market (Aug 9), Goldberg Playlot (Aug 12), Cubano Fest (Aug 16), and the Portage Park Farmer’s Market (Aug 16). August: TheaterRED in Milwaukee produced an outstanding Unrehearsed performance of Twelfth Night. I got to play Malvolio again after seven years, and it was a highlight of a very full and very excellent month. August: Inspired by his studies of natural speech and conversation (and how we actors tend to abandon those natural proclivities once we’re given a script), Dr. Christopher Aruffo set four short plays in Mrs. Murphy & Sons Irish Bistro, demonstrating natural speech in given circumstances. 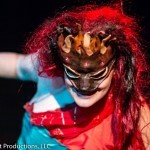 August: Otherworld Theatre hosted their first annual PARAGON: A Science Fiction and Fantasy Play Festival. I directed Amanda Carson (A Thousand Times Goodnight) and Katy Jenkins (EDGE Theatre) in the short plays Queens of the Realm and A Dream of Two Moons. August was a busy, fruitful month. October: Five years ago, Unrehearsed Shakespeare premiered in Chicago with The Tempest. Now at long last, we’ve brought the magic back! 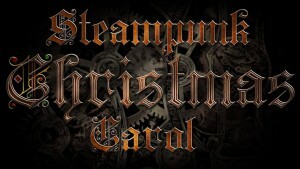 December: A one weekend event in conjunction with the EDGE Youth Theater production. 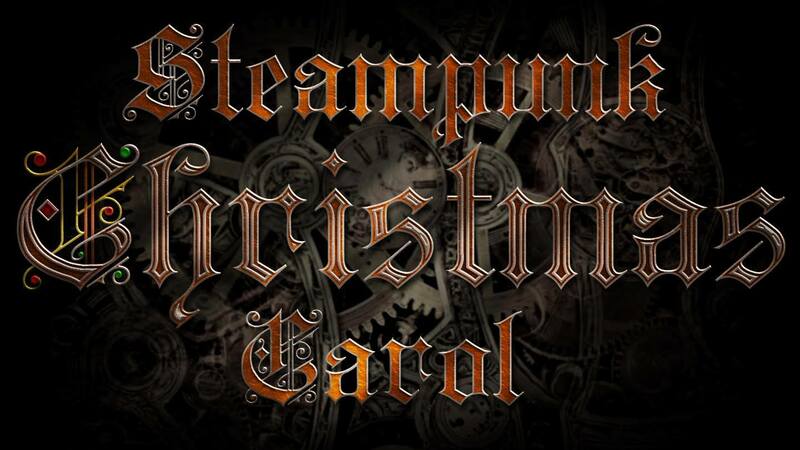 ‘Steampunk’ is a retelling that follows Dickens’ classic story with modern humor, lots of heart…and steam-powered robots.